If you and your friends are still on the lookout for a larger property, we could have just the thing. 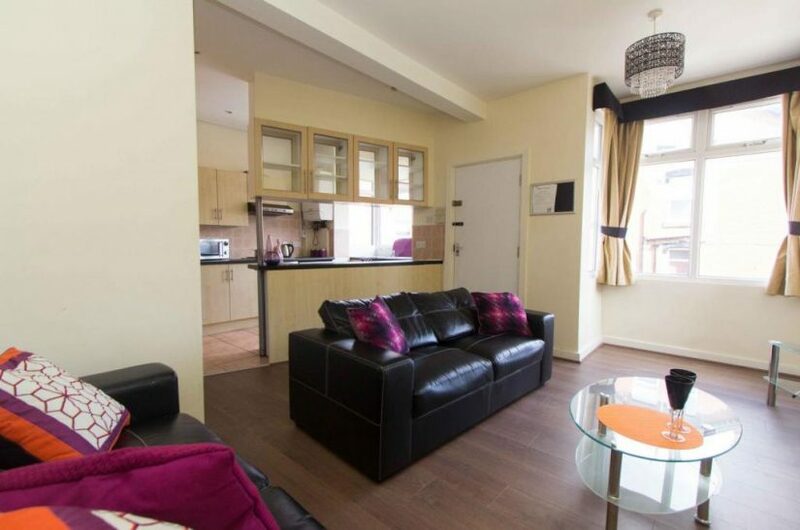 Our September property of the month has been redecorated throughout and has great transport links so you can reach the universities or the city centre easily – perfect! This property is a five-minute walk to Burley Park station where the frequent train services will take you right into the centre of Leeds. Right next to the station is a good-sized Co-op which is an ideal place to grab food and drink essentials – plus, this means only a short walk with your shopping bags. Within 15 minutes you can right in the centre of vibrant Headingley that’s always buzzing with students. There’s popular bars like The Box, a variety of restaurants to try out, and of course, the starting point for the infamous Otley Run. As well as all this, you’ll also be in easy reach of popular Leeds hotspots such as Hyde Park Picture House, Brudenell Social Club and Headingley Stadium. We think it’s fair to say 1 Beechwood Place is in a fantastic location! As mentioned, this property is newly decorated so it’s in excellent condition! There’s six large bedrooms, all of which contain double beds, a bookcase, and very good-sized fitted wardrobes and desks. There’s a contemporary, fitted kitchen that includes a washing machine, dishwasher, microwave and breakfast bar. This opens up into a spacious living room with laminate wood flooring, spotlighting and leather effect sofas. 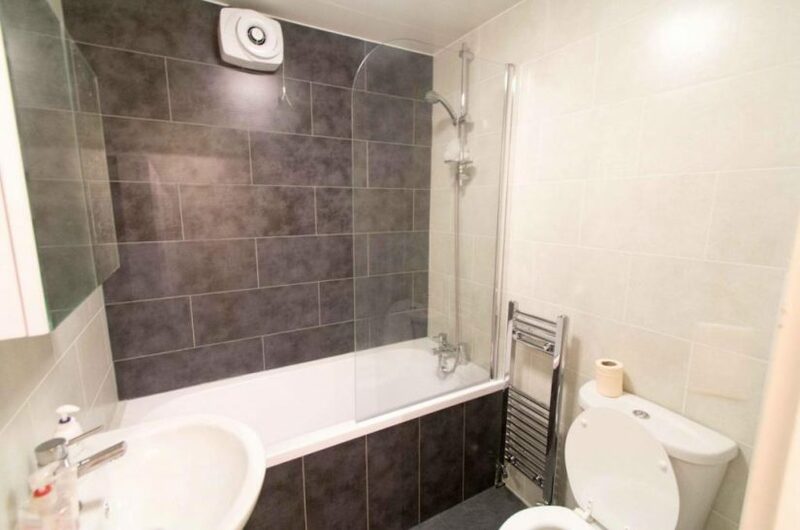 This property also comes with two bathrooms, one of which comes with a shower/bath, and the other double-sized shower cubicle. Head for the latter if you require more space for your daily mid-shower musical performance! This fabulous property is available now on a non-inclusive basis for only £72.99pppw which we think is great value for what you get. As with all our properties, there’s no upfront fees, and just a £100 deposit. A fresh, modern and well-located property such as this won’t be around for long, so if you’re interested, come into the rentinc office to have a chat with the team or call 0113 220 0040 to book a viewing!